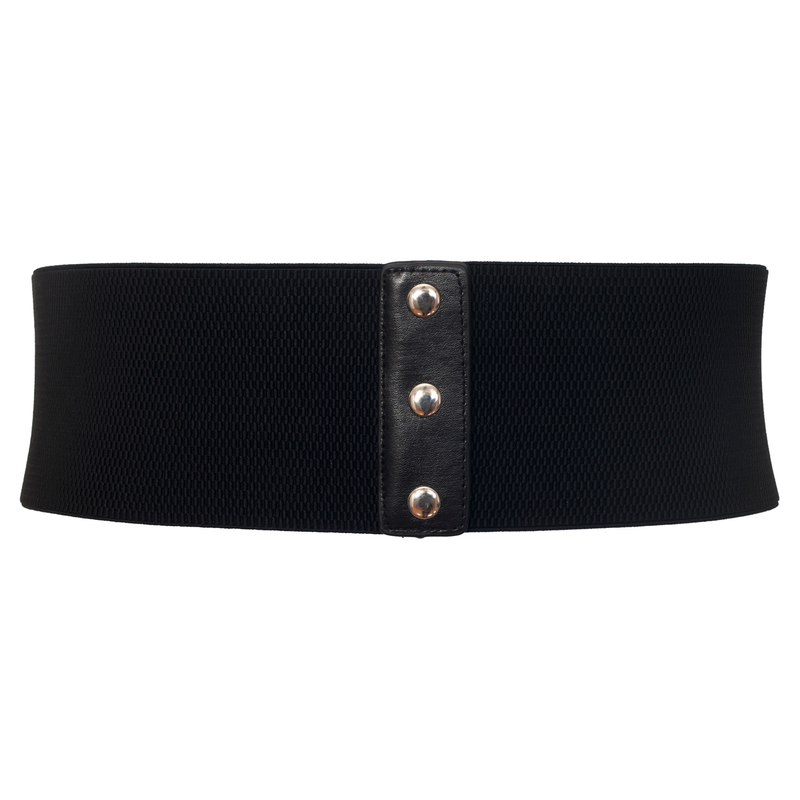 This plus size belt is a perfect accessory to dress up your outfit. 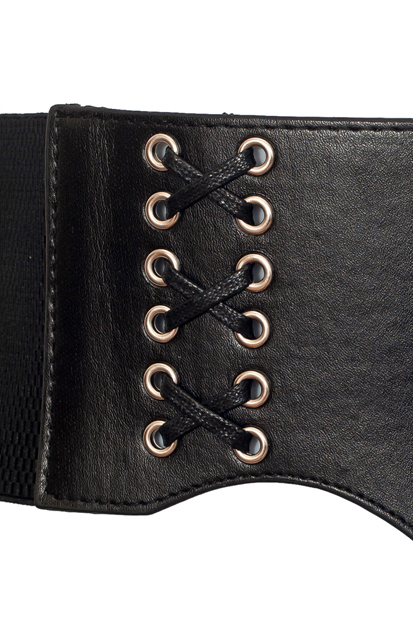 Plus size elastic belt features faux leather front with lace up detail. 4 inch width. This stretchy elastic belt will stretch to accommodate 34 to 44 inch waistline.